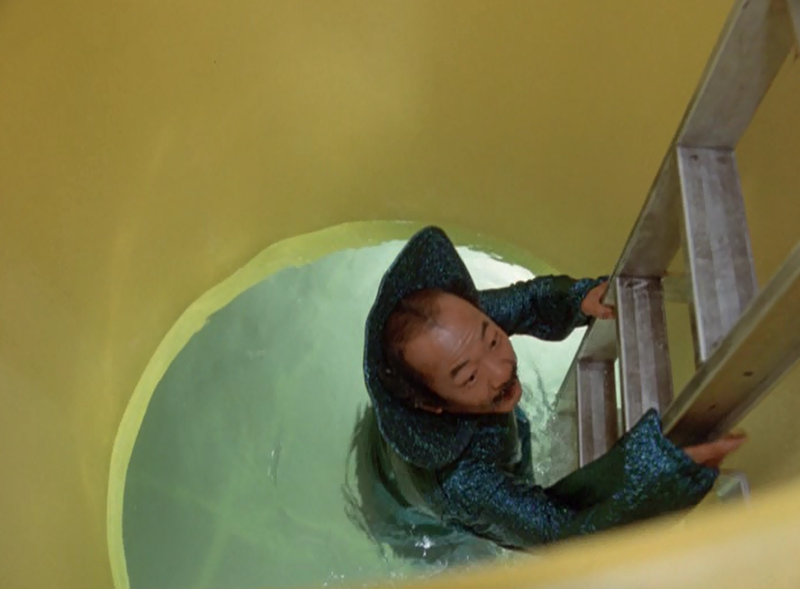 A strange being from another universe, an Imp (Pat Morita), illicitly boards Undersea Habitat Triton 1, and -- by touch -- infects all the crew. 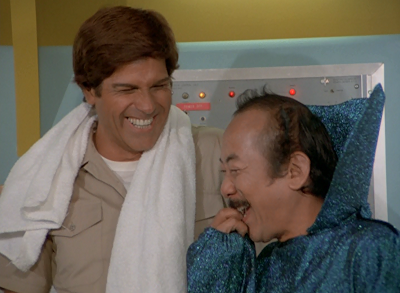 The seamen promptly begin to act like out-of-control children. Several crew-members leave the habitat…and die underwater. The Cetacean investigates the incident at the habitat, and inadvertently bring the Imp back to dry land, where the child-like being has the capacity to do real damage. The episode focuses on Pat Morita’s character -- wearing a purple wizard’s robe, even underwater -- as he infects divers, shop-keepers and even C.W. 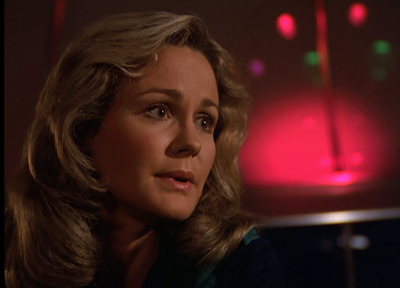 and Elizabeth (Belinda J. Montgomery), with impulsive laughter and child-like behavior. 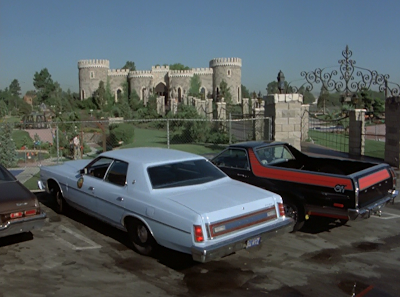 The episode’s big climax occurs at a miniature golf course, if that you gives you any idea of how low the series has sunk. The Man from Atlantis chases a diminutive Asian imp through a putt-putt course to save the world from possible nuclear Armageddon. 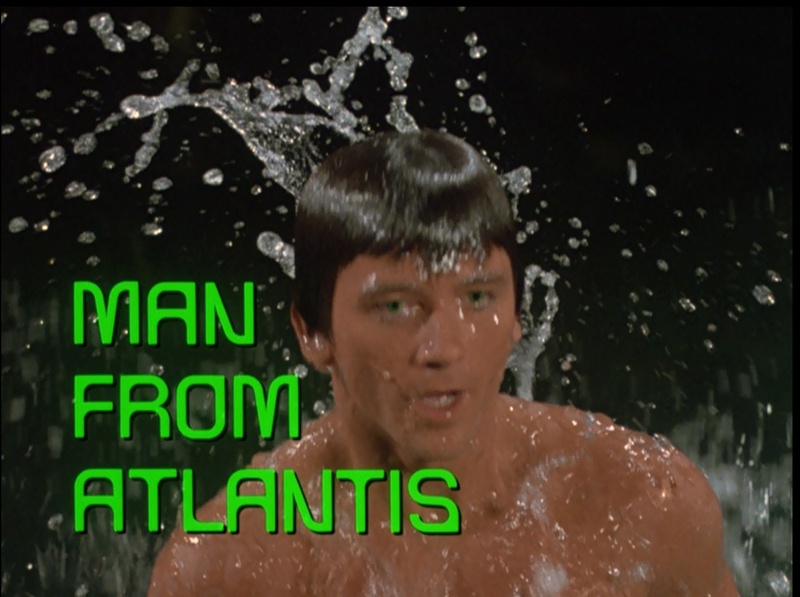 And yet, through all this nonsense, Patrick Duffy still gets some great moments in character. The last scenes of the story, with Mark forcing the imp to learn the consequences of his action and behavior, are strangely touching and compelling. Duffy is the series' MVP, able to take even the weakest material and spin it into something that is emotionally satisfying. Why a story as dopey as "Imp?" Well, there’s the feeling that this story aimed for something like “The Naked Time” on Star Trek, and just really, really missed the mark. The key to the success of that story, perhaps, was mining the hidden character traits of characters. Here, everyone is exposed in the same manner -- transformed into an irresponsible child, essentially -- and that paradigm is much less individual and much less compelling. 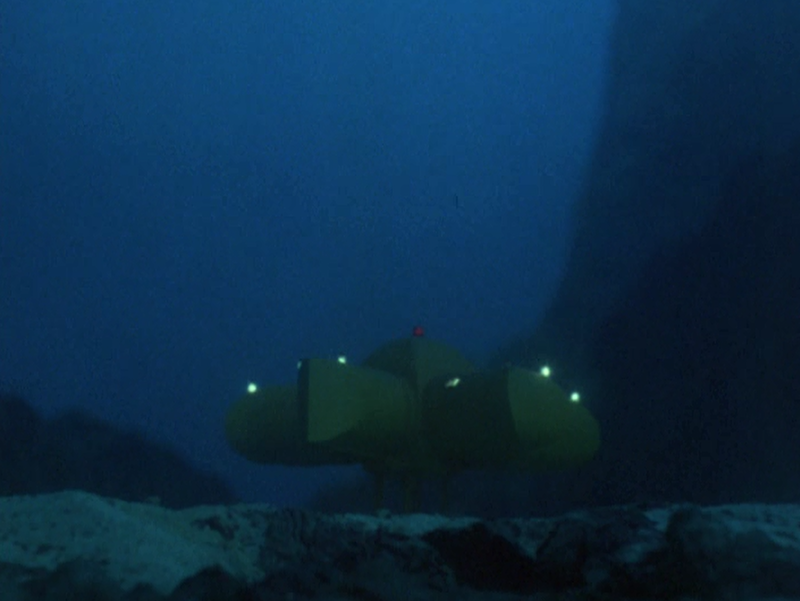 The most interesting moment in the episode is Imp’s refusal to touch Mark, categorizing him as a person from “down there” (meaning under the sea). In other words, he sees that Mark is different, and that his powers won’t work on him. This suggests the idea that all of Mark’s people are without emotion, or conceal their emotions. The imp cannot release their inner children. It also suggests that the Imp comes from a reality -- or has been to a reality -- where he has encountered the water breathers. Sadly, “Imp” marks the last appearance on the series of Belinda J. Montgomery as Dr. Elizabeth Merrill. Merrill also rarely got to go with Mark on his adventures. “Hawk of Mu” is an exception, but otherwise Elizabeth is left on the bridge of the Cetacean, taking to Mark through a view screen. She looks at him with worship (the way Nancy Reagan used to look at Ronald Reagan...), but audiences never really learned what she wanted, or what made Elizabeth tick. She started out as a brilliant scientist and workaholic, and it's rewarding she was given a command post, essentially, on Cetacean. 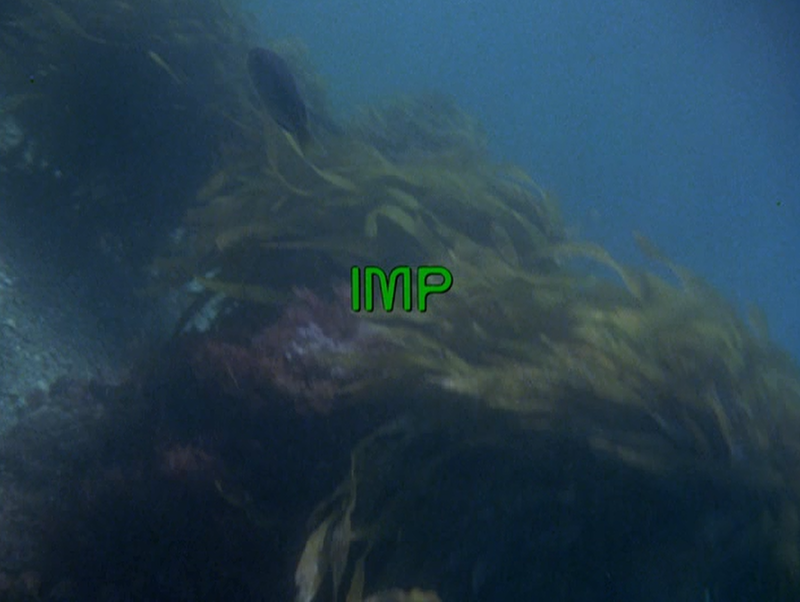 But by "Imp" she seems little more than a bit player. Still, Elizabeth is a welcome presence, and is much missed after Montgomery's departure. John interesting reviews of all of these MFA telefims and episodes. The aired dates bring back fond memories of my boyhood watching MFA. The MFA complete series dvd set unfortunately does not include the telefilms! Actually, in one of the later episodes of Logan's Run (after it had moved to a later time slot) Logan and Jessica did express romantic attraction to one another. 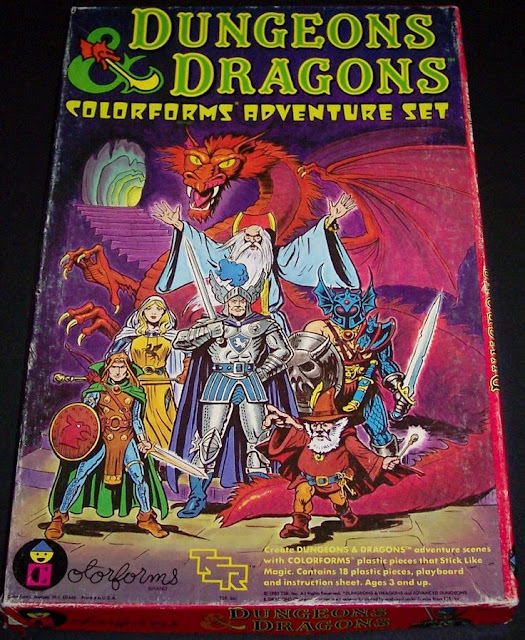 Unfortunately the series was pretty much cancelled by then so nothing came of it.